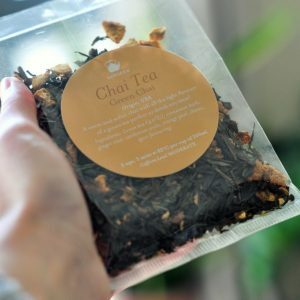 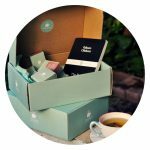 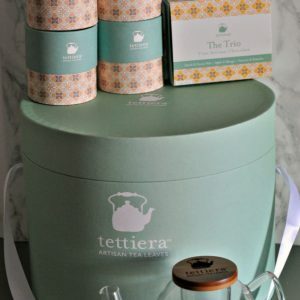 Surprise your lover this Valentine’s Day with our limited edition tea box that was purposely created for Valentine’s Day. 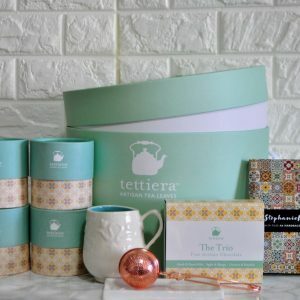 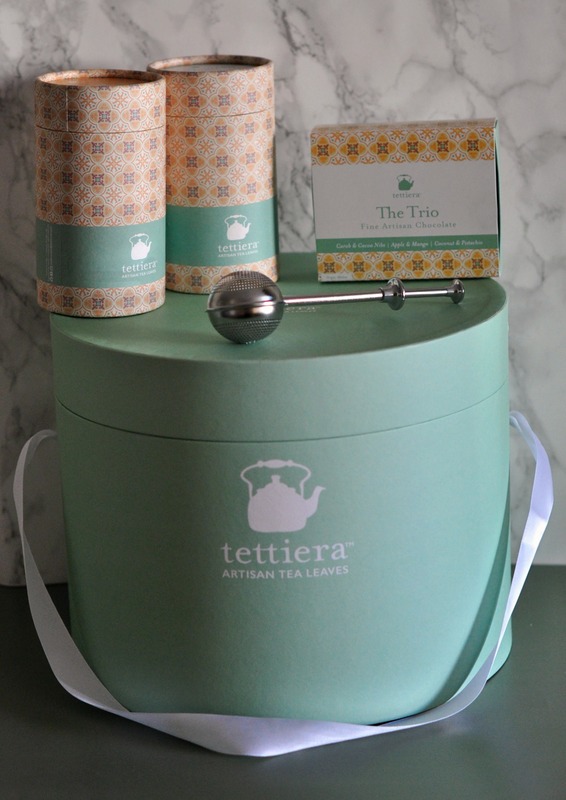 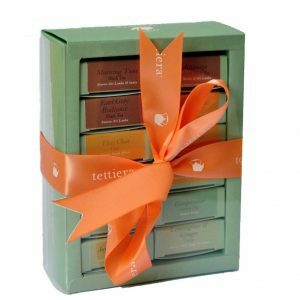 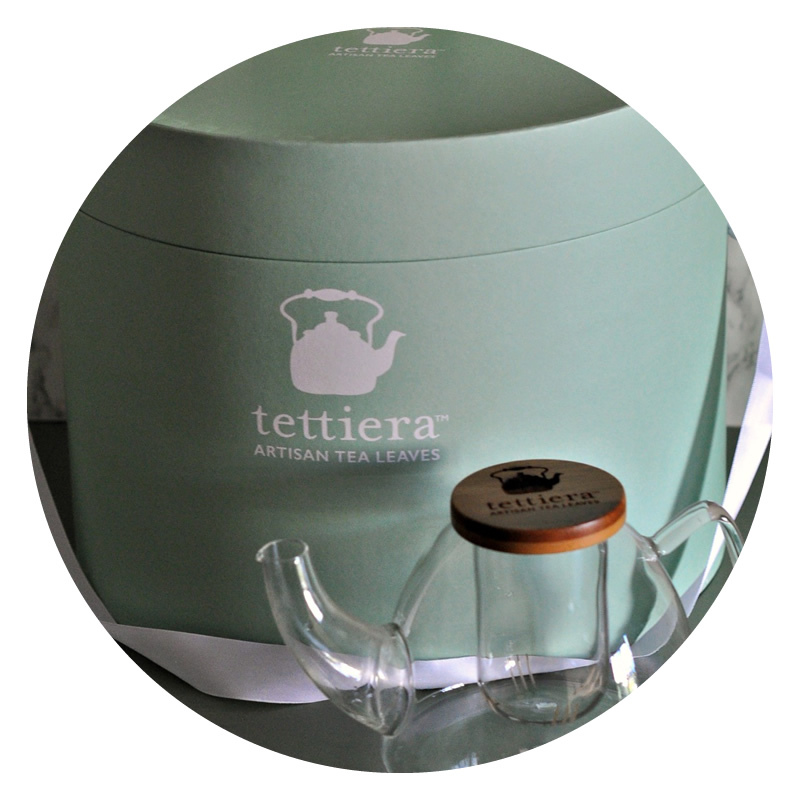 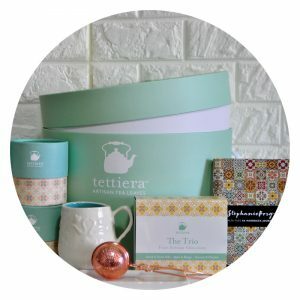 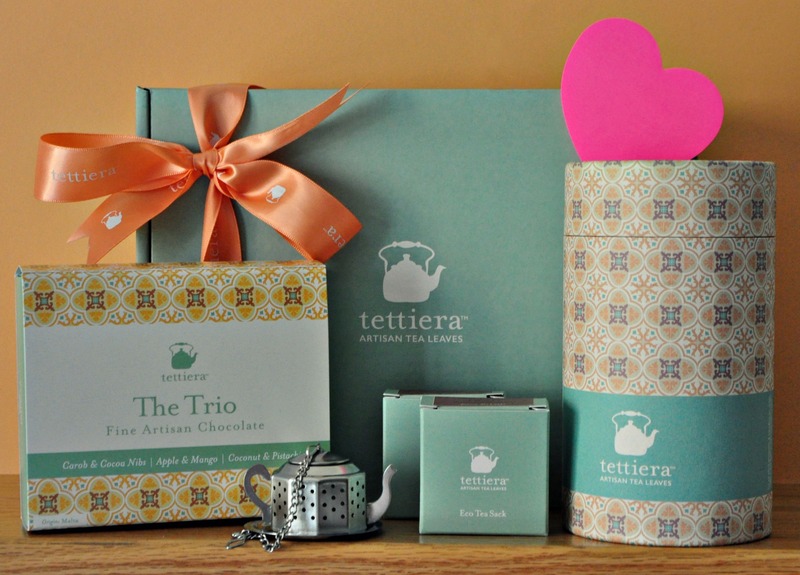 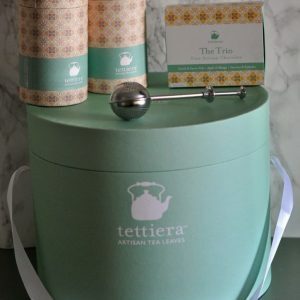 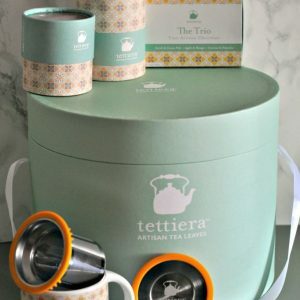 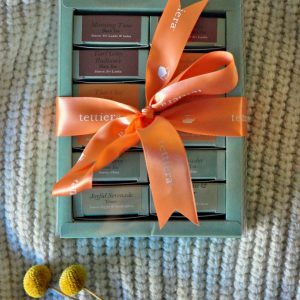 The box includes a selected tea tube ( Choose between: Ceylon Chocolate Charm Tea Tube, Tempting Raspberry Tea Tube, Earl Grey Radiance or Rooibos Masala Tea Tube) , a tea pot shaped infuser, a mini post it notes, the Tettiera Trio Collection box and 2 eco tea sacks , all cushioned on real rose petal-eco confetti in our mint gift box. Limited quantity available. 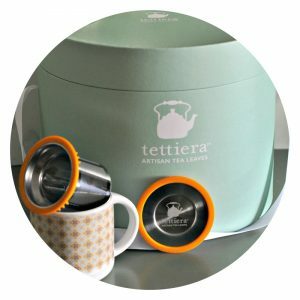 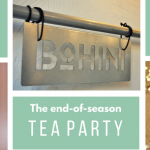 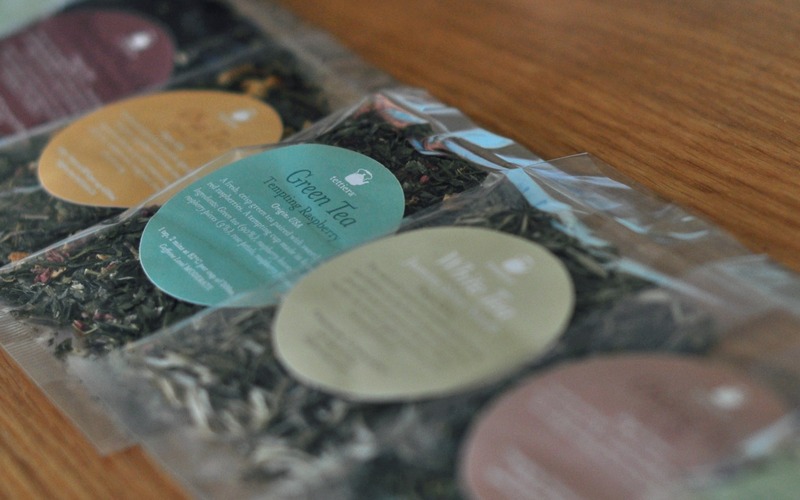 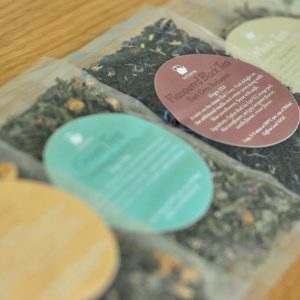 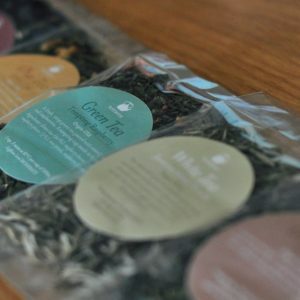 Indicate which tea tube blend you would like at check-out. 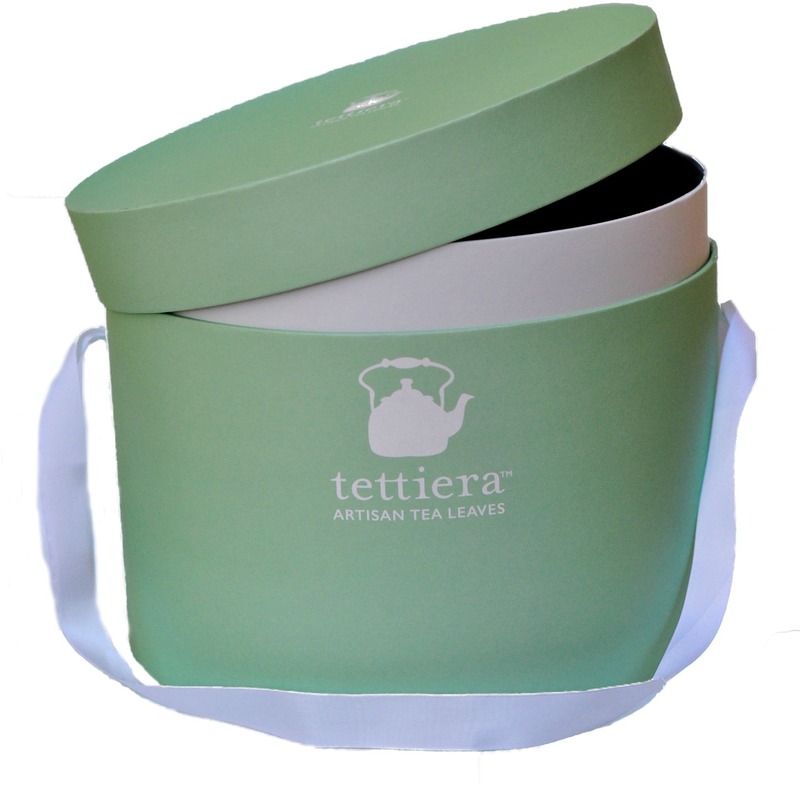 For other custom request, please contact us.